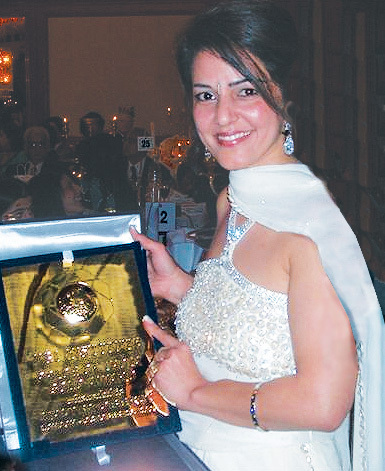 Kavita Oberoi went to London on the evening of Wednesday 26th October 2005 to collect the ‘Pride of India Gold Award’ in recognition of her achievements in her chosen field of IT Healthcare. The award was presented to 16 outstanding people chosen from 600 applicants from around the world in the presence of over 300 VIP’s and Captains of Industry. It was a glittering event at the Radisson SAS Portman Hotel. The Award presentation was televised by Zee TV, an Indian Network channel which broadcasts to 225 million viewers across the globe.